Ditched Your Gym Resolution Already? You’re not anti-fitness. It's just that you were a little too pro-Christmas cookies, right? And those New Years' resolutions? Wait... what were they, again? Enter celebrity trainer Mark Jenkins. 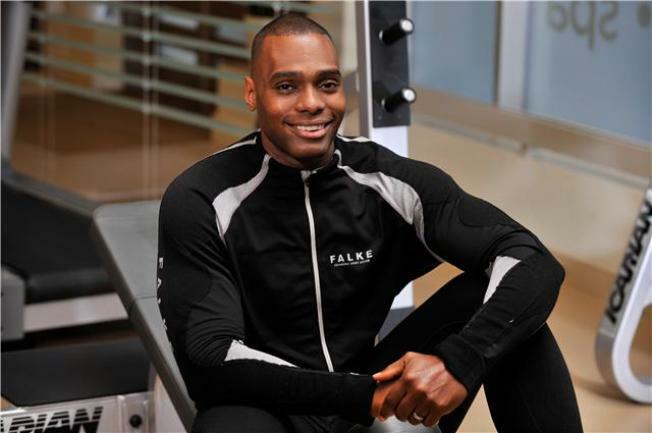 Responsible for maintaining Beyonce’s curves and Mary J. Blige’s sculpted biceps, this celebrity personal trainer can also whip you back into shape in time for that annual winter-thaw trip to the beach. Having prepared P. Diddy for a marathon and a long list of musical artists for their concert tours, Jenkins knows not only how to motivate but help you achieve a healthier lifestyle. Nothing helps ease the stress this time of year more than a good workout, so he's sharing his tips on how to get into top form. Jenkins advises taking your workouts outside as much as possible -- that's what he does! His favorite outdoor spots include RockCreekPark and the National Mall. A personal training session may include parachute sprints or sled pulls. Taking a client to a unique class like Krav Maga to mix things up is also a possibility. "I think it’s best to try everything once to find out what works for you," he tells us. Even the most diehard gym fanatics get burned out. Jenkins encourages clients to avoid this by branching out and learning new methods whenever possible. "I encourage clients to experiment with different trainers and techniques to keep it fresh," he says. Jenkins will also engage in sport-specific training that is tailored toward your needs and a your favorite sport. We all know how you had the best intentions going into the holidays, but not everyone can resist the temptation of treats. Jenkins sets realistic expectations for his clients by allowing the occasional "cheat" days and increasing activity around a season filled with festivities. A quick way to maintain that sleek physique in a mere 20 minutes? "A minute of jumping rope, 10 push-ups, shadowboxing, 10 squats, one minute of jumping jacks and 10 lunges. Rotate this set until your 20 minutes is up," he suggests. Luckily for us, there are several ways to access his fitness tips and advice. At Somafit in Georgetown, you can try one of his classes, which incorporates everything from core work to calistentics and cardio, all to keep you mean and lean. These are similar workouts to those he uses on his celebrity clientele. You can also head to the Mandarin Oriental, where Jenkins teaches classes, offers personal training and heads up spa weekends for when you’re looking to recharge. His book, "The Jump Off: 60 Days to a Hip-Hop Hard Body" offers more tips on how to get abs that Jenkin's rockstar clientele get to sport. Hey, we can all dream, right?